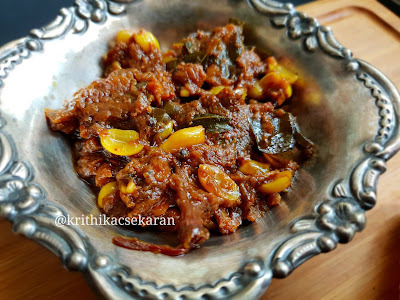 Puli kaaychal meaning tamarind cooked to a paste is a popular condiment made in most South Indian households. 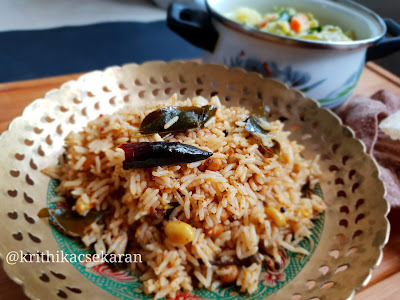 Puliyogare rice is a very popular preparation especially in Lord Vishnu temples. Here's the recipe for the paste as how my mom makes it. 1. Let's prepare the spice powder first. Heat a pan and dry roast sesame till you get its aroma. Transfer to a plate. 2. In the same pan, dry roast fenugreek seeds but take care not to let it brown. Transfer to the plate along with sesame seeds. 3. In the same pan dry roast dhaniya seeds, red chilies and black pepper till aroma comes. remove and let cool along with the sesame and methi seeds. Dry grind to a powder. 4. Heat oil and add mustard seeds, let splutter. Add red chilies and chana dal. Roast a bit. 5. Add in the imli extract along with hing, haldi, curry leaves, peanuts and salt to taste. 6. Simmer the mix on low flame till it leaves the sides of the pan and starts to thicken. Turn off flame and let it cook in the residual flame. 7. Finally add the spice powder as required and mix well. 2-3 tsps should be a good measure for medium spiciness. Store in a clean dry vessel and use. 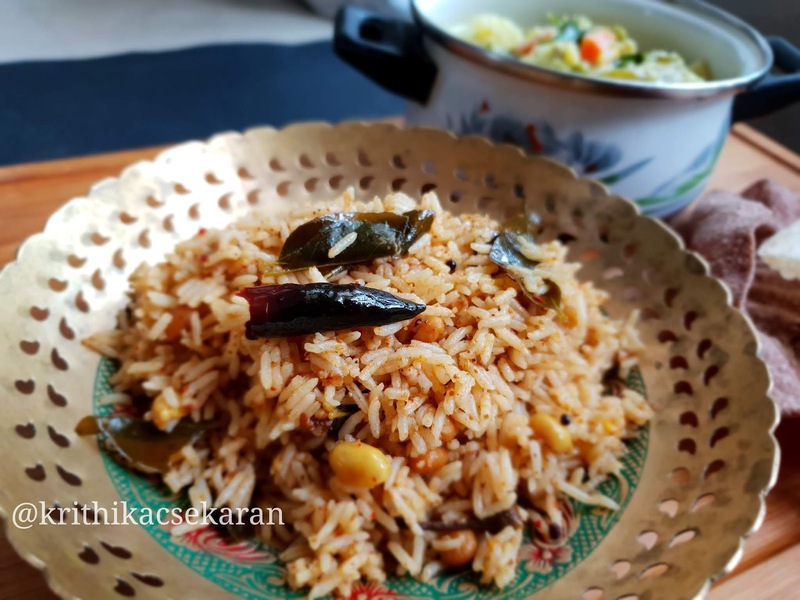 This is the Puliyogare rice made with the paste.